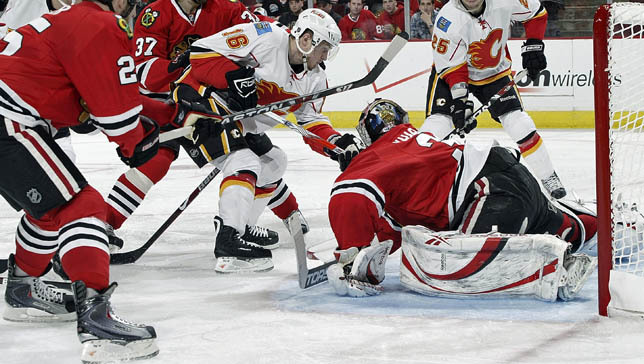 Nashville, Tenn. (March 3, 2010) – Nashville Predators President of Hockey Operations/General Manager David Poile announced today that the club has acquired forward Dustin Boyd from the Calgary Flames in exchange for a fourth-round pick in the 2010 NHL Entry Draft. Boyd, 23 (7/16/86), has posted 19 points (8g-11a), 15 penalty minutes and a plus-5 rating while averaging 12:14 per game in 60 games for the Flames this season, his second full NHL campaign. Selected 98th overall (third round) by the Flames in the 2004 Entry Draft, Boyd has 57 points (28g-29a) and 35 penalty minutes in 192 career games since the start of the 2006-07 campaign. The 6-0, 187-pound center and Winnipeg, Man., native was a member of the 2006 Canadian World Junior Championships squad that claimed a gold medal.